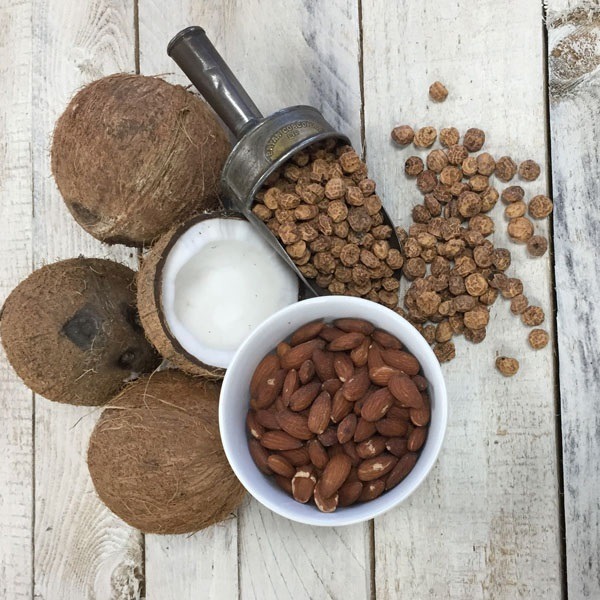 The perfect nutritional punch of traditional nuts without the nut! “An easy to grow grass that produces masses of intently sweet tubers (not actual ‘nuts’). Bigger than peanuts, tasting like almonds and coconut, tiger nuts are a natural source of pre-biotics and classed as a superfood. Easiest grown in a container until the first frost kills the leaves, then unearth numerous ‘nuts’. Perfect to eat as a snack or on cereal, add to your baking or morning smoothie.” Sow mid March-May. Harvest mid September-November.